Located at the junction of State Highways 51 and 177, sixty-five miles northeast of Oklahoma City and sixty-four miles west of Tulsa, Stillwater is the seat of Payne County. Town and county history formally began with the Boomer Movement. On December 8, 1884, Capt. William L. Couch led a caravan of Boomers across the Cherokee Outlet to a stream just inside the future Oklahoma Territory. As they settled in dugouts and tents, they called the stream the Still Water and their settlement Stillwater. Surrounded by the U.S. Cavalry and cut off from supplies, the Boomers returned to Kansas. Stillwater was settled officially during the run into the Unassigned Lands of central Oklahoma on April 22, 1889, and its name became official when a post office was established on May 28, 1889. Robert A. Lowry donated eighty acres of his claim, and two other pioneers, David Husband and Sanford Duncan, each donated forty acres to meet the requirements for a townsite. Survival became the settlers' first concern. The creek that had attracted them, now called the Stillwater, could not supply water for a population that quickly reached six hundred. Water wells were dug on many lots, including three on Main Street, with troughs for horses. The city dug four cisterns for fire protection and then purchased a secondhand fire wagon from Wichita, Kansas. The first city water system was setup in 1892 as a dam was built across Boomer Creek. Afterward, the city purchased a new horse-drawn fire wagon and borrowed a team from Myers's livery when fires occurred. Residents first settled in tents, small shacks, and dugouts, but these were quickly replaced as three sawmills produced wood for home construction. Wild game provided much of the food supply. Most of the settlers were experienced hunters and daily brought home quail, prairie chickens, turkeys, and opossums. Community life centered on Amon Swope's two-story building at Ninth and Main streets. His Bank of Stillwater and a grocery store were on the first floor. The first Sunday schools, church services, and town meetings were held upstairs. On September 30, 1889, thirty children climbed the outside stairs and the first school began. In 1891 the city erected a two-room, frame school on Lewis Street. As eighty Main Street buildings were completed by August 1889, citizens celebrated by erecting a flagpole seventy-six feet high. Attached to it were a huge flag and lantern to guide travelers to Stillwater. After Stillwater residents established a city government on June 11, 1889, a group of young men calling themselves the Vigilantes decided to seek advantages that would make their town a thriving city years later. After bitter disputes with Payne Center and Perkins, Stillwater won the county seat when Congress passed the Organic Act on May 2, 1890. To mollify Payne Center, Stillwater leaders agreed to name the county Payne for David L. Payne, the Boomer leader. Another success came when the territorial legislature approved Stillwater as the land-grant college site in December 1890. When the Arkansas Valley Telephone Company established a telephone system in Stillwater in August 1899, one phone was installed to serve Oklahoma A&M College (now Oklahoma State University). Pres. Angelo C. Scott said the college needed two phones, one for his office and one for faculty and staff. Manager Paul Boone agreed, climbed a pole, and installed a second line. At that time the entire college was located in Old Central. The Stillwater Gazette estimated that seven hundred citizens turned out on Sunday morning, March 25, 1900, as the Eastern Oklahoma Railway brought the first train to Stillwater. Cotton was the major county crop, and soon two cotton gins were operating near the tracks. Nearby, William W. Abercrombie established the town's first electric power plant. An outside steam engine served as a generator. The plant could light up Main Street only for a short time. In 1905 the city established its own power plant. After an estimated ten thousand homesteaders, including some of its own citizens, made the 1893 run from Stillwater into the Cherokee Outlet, Stillwater remained a quiet agricultural community for many years. Its principal economic base became Oklahoma A&M College. The population more than doubled between 1910 (3,444) and 1930 (7,016), and grew to 16,007 in 1940. These were known as the "country years" when Main Street businesses were home owned, doctors' and 1awyers' offices were upstairs in downtown buildings, and children walked to Jefferson and Lincoln schools or to South High. The number of residents surged to 20,238 by 1950 and reached 36,676 in 1990. Concerned about the decrease in the college's enrollment during World War II, leaders in 1951 formed the Industrial Foundation to expand the city's economic base. This profoundly changed Stillwater. By 1995 thirteen manufacturing plants were providing 5,321 jobs to the area. These enterprises were on or near Perkins Road. They brought about extensive retail business development, and in the 1990s Perkins Road became the city's dominant business street. In 2000 Oklahoma State University–Stillwater and Meridian Technology cooperated to create a seventy-acre Oklahoma Technology and Research Park, which gave impetus to commercial development west of the city. 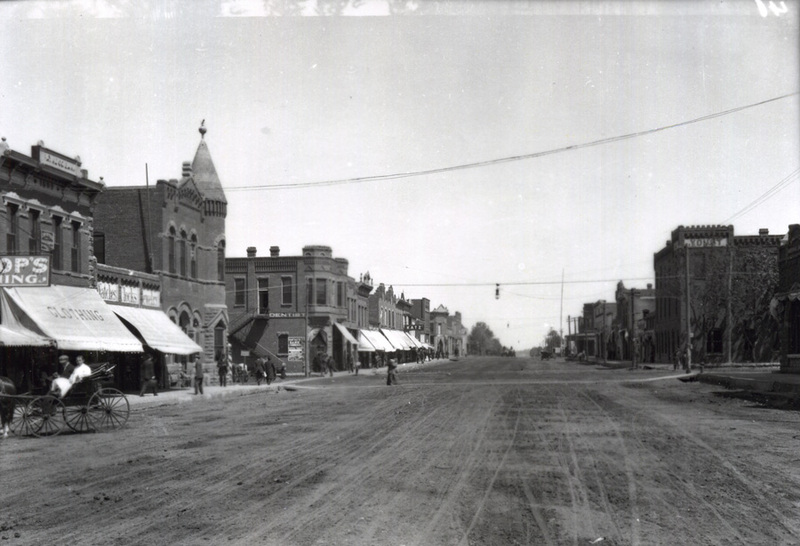 At the beginning of the twenty-first century Stillwater had a manager-commission type of town government. The city's population increased to 39,065 in 2000 and to 45,688 in 2010. Berlin B. Chapman, The Founding of Stillwater: A Case Study in Oklahoma History (Oklahoma City, Okla.: Times-Journal Publishing Co., 1948). Robert E. Cunningham, Stillwater, Where Oklahoma Began (Stillwater, Okla.: Arts and Humanities Council of Stillwater, 1969). D. Earl Newsom, Stillwater, One Hundred Years of Memories: A Pictorial History (Norfolk, Va.: Donning Co., 1989). D. Earl Newsom, The Story of Exciting Payne County (Stillwater, Okla.: New Forums Press, 1997). D. Earl Newsom, "Stillwater," The Encyclopedia of Oklahoma History and Culture, https://www.okhistory.org/publications/enc/entry.php?entry=ST037.